Discussion in 'Music and Recordings' started by shaizada, Feb 7, 2016. I'm really sorry to hear about your friend's passing. Music is a good way to help with loss. Dhrupad is wonderful music; just amazing. It is as heavyweight as Indian classical music gets. Enjoy! I went to a Hindustani concert given by Mr Warren Senders a few weeks ago. I knew him from USENET r.m.i.c [? rec.music.indian.classical] days, and had spent an afternoon talking to him in London a long time back. Great concert --- and he is a very interesting man to talk with. Last night I saw the Gundecha brothers in concert. They sing Dhrupad, the oldest living style of North Indian classical music. It's beautiful and starts slow and builds. They won the Padmasri, India's highest cultural award in 2012 and they really do justice to dhrupad--a musical form associated with nad yog, the yoga of sound. The youngest brother plays pakhawaj, the old barrel drum with a thunderous resonance. Overall, the concert was great and I picked up two more of their CDs. Abhishek Chowdhary and Thad E Ginathom like this. I meant to warn you, but suspected that you already knew what was coming. Dhrupad has no "warm-up." It drops one in right at the very, very deep end with those oh-so-low oh-so-slow notes at the beginning of the alap. A beginner might wonder if the concert has even started yet --- and, at the last rudra veena concert I attended (far from my first) i was still outside-world-twitchy for several minutes. Made note to self: next time, relax and still mind before concert starts: it is a shame to miss the appreciation of even a single note. I'm glad you enjoyed. It's a rare treat! The pakawaj has a very special sound. Mshenay, Kunlun and Abhishek Chowdhary like this. A controversial aspect in which some would say that the North is ahead of the South is in some of the technical aspects of singing. To put it bluntly, Hindustani vocalists are expected to be able to use their lungs and throats, project their voices, and cover the full range without stress or peculiar physical contortions. The young woman in my previous post has no such difficulty (or peculiar mannerisms) and I have seen her sing without a microphone. Of course, I am a carnatic fan: some of my favourites may not score highly on those aspects --- but it is nice when they do. Just saw Zakir Hussain (tabla)and Nilandri Kumar (sitar) live in concert. Very nice performance, both were stretching the classical grammar of their instruments and having a lot of fun. Thad E Ginathom, Koth Ganesh, FlySweep and 2 others like this. I was at this one this evening. My listening didn't do it justice: she is one of my favourite young women in the music here, and I was tired and had a headache. Oh... I'll be attending her wedding next February. Kunlun and Abhishek Chowdhary like this. I saw a very nice sitarist, Roopa Panesar over the weekend. It was really great, she's gotten better and better. Kunlun and sacredgates like this. You are a regular at Indian concerts. Nice! With regards to the Bismillah Khan recording, I had completely forgotten the sound of this man and his instrument. Forgotten the Shennai itself, in fact. A very happy reminder from Youtube. So different from the strings that we usually listen to when we listen to Hindustani music. Looking for easy to obtain Bismillah Khan and N. Rajam recordings I ordered this compilation with various artists. Kunlun and FlySweep like this. @Thad E Ginathom Had a chance to see a South Indian singer in concert at the Metropolitan Musuem. Carnatic Vocalist Abishek Raghuram (or, as my phone spell check prefers, A Bushel [of?] Rabbits), with violinist Mysore H.N. Bhaskar and Patri Satish Kumar on mridangam. It was all good, the long centerpiece (which I'm assuming was a ragam-tanam-pallavi) was excellent. Thad E Ginathom and Elnrik like this. Well, I'm glad you enjoyed, but he is not very typical. He is one of those musicians that goes in for a great show of virtuosity just because he can. Heaps of fast and furious stuff. Saw him once and walked out. However, whilst there are those that agree with me, there are thousands that don't, and his concerts are always packed out. You could see at a glance that he is the very opposite of my favourite lady in my birthday-concert video above. It is not that I demand absolute orthodoxy. Another controversial singer is T M Krishna. His "trademark" is that he completely discards the basic concert format/roadmark system that has been in vogue for a hundred years or so and sings what and how he feels like. You never know where you are in a TMK concert, or what is going to happen next. But his music is magnificent. Get to see him if you can. But don't bother with his writing. Great musician; writer not so much. Abishek used to play Kanjira. His grandfather was one of the great mridangists. I wish he had stuck to kanjira, instead of bringing his percussion style into singing. But... he does have a really nice voice. Maybe in 20 years he will mellow down enough for me, but I may not live long enough to see it. The sad, but moving story of Annapurna Devi, 1st wife of Ravi Shankar. She recently passed away. She was the teacher of Hari Prasad Chaurasia, the bansuri (bamboo flute player), I recommended two of his CDs in the first page of this thread. jexby, FlySweep, sacredgates and 1 other person like this. Annapurna Devi, 1st wife of Ravi Shankar. A life away from limelight. jexby and Kunlun like this. bobboxbody Wow, I made it this far without being a friend? 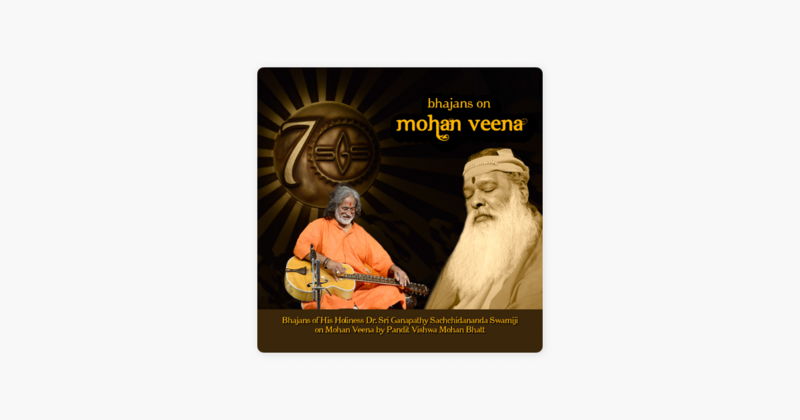 I have mostly listened to his recordings on Tiger Lily Acoustics, but this Vishwa Mohan Bhatt album is great. The recording is a bit on the bright side, but the music is amazing. FlySweep, sacredgates, Kunlun and 1 other person like this. Kunlun and bobboxbody like this.